There wasn’t much to be done about syphilis for most of its history. It was a horrible, slow way to die and the only way to ward off the most acute attacks was mercury—until a dye and a poison provided the inspiration for an effective treatment. When he worked in a lab, staining different bacteria with different kinds of dyes, it struck him that the entire process worked because a given dye would sink into one kind of tissue while leaving all the other material on a slide unaffected. Clearly it was possible to target specific bacteria with chemicals. All he needed was to tweak the chemicals so that they would kill the bacteria instead of just staining them. When Ehrlich first had this realization, not much was known about syphilis, so he focused on using methylene blue to kill malaria, and working with an arsenic-based dye, atoxyl, to treat sleeping sickness. Atoxyl proved a challenge, as it was very toxic and tended to make patients go blind. 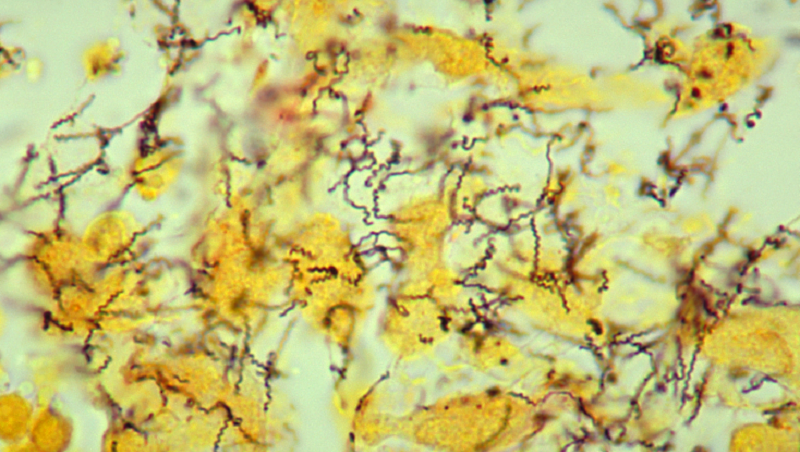 Atoxyl was good practice for Ehrlich, because in 1905, scientists found the bacterium that caused syphilis, and it looked a lot like the bug that caused sleeping sickness. By then Ehrlich was heading a lab, and the entire lab swung into action. Alfred Bertheim, a chemist, synthesized many different derivatives of this arsenic-based dye. Sahachiro Hata, a bacteriologist, discovered that the sixth compound of the sixth batch was effective. Compound 606, known to the masses as salvarsan, went on the market. Demand was voracious. For a while, it was the most prescribed medicine in the world. But for some people salvarsan treatments were neither safe nor voluntary. The compound was unstable, and although better than mercury could cause damage to the internal organs, death, and loss of limbs. Some patients complained that they were forced to undergo treatment despite being healthy, especially if they were seen as public health risks. Still, versions of salvarsan stayed on the market until penicillin came on the scene in the 1940s. Image: Public Health Image Library. Second Image: CDC.